Hi all! 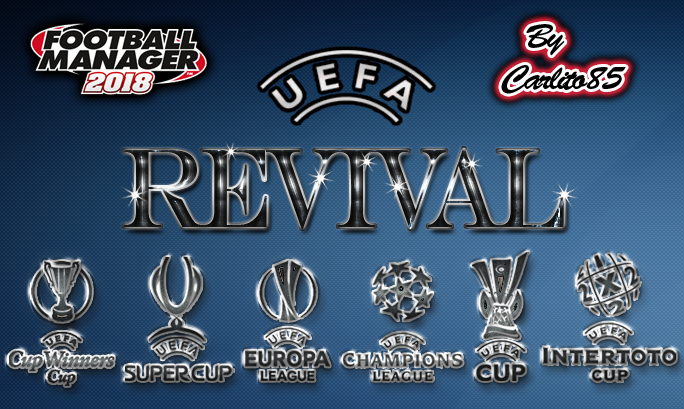 Back for another season with my UEFA Revival project, with quite a list of updates from where I left off in Football Manager 2017. 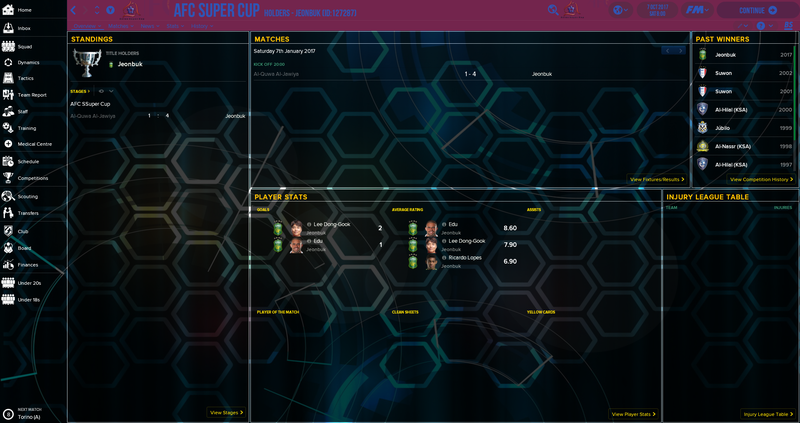 This is a project that I've been plugging away at, on and off, dating back to Football Manager 2013. 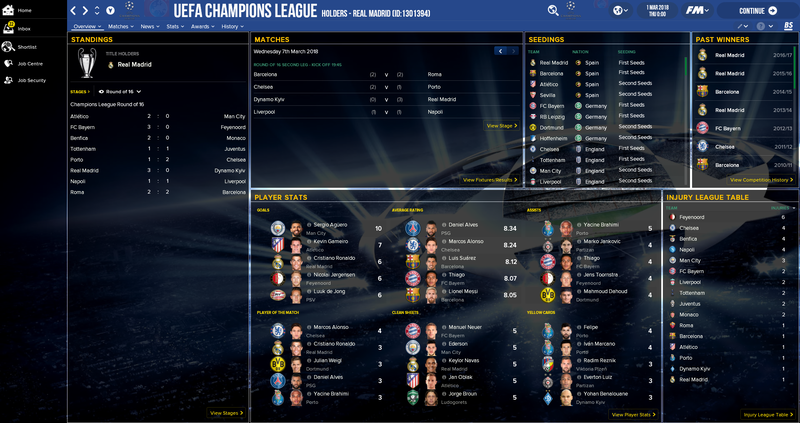 It originally started out as a throwback to the 1999-2003 format of the UEFA Champions League which contained 2 group stages, and has since progressed into a full structure where I've managed to find room to bring back the UEFA Intertoto Cup & the UEFA Cup Winners' Cup. 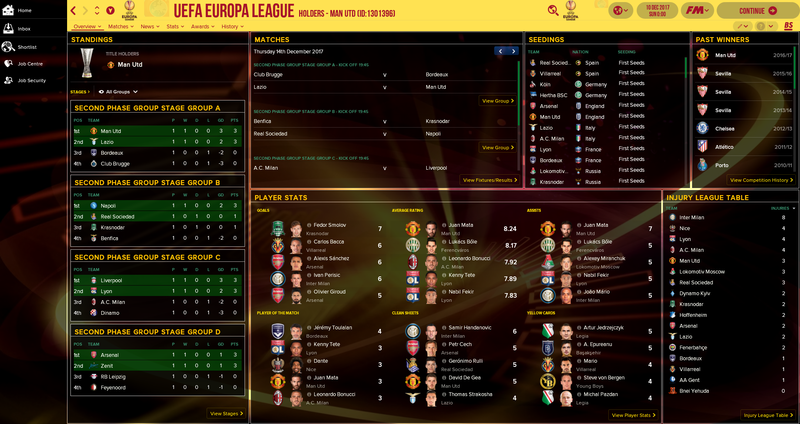 New from the 6 options available last year, there are now 25 separate UEFA files so you can choose whether you'd like to use the UEFA Europa League, revert back to the UEFA Cup, reinstate the UEFA Cup Winners' Cup, have winners qualify for the following season (or not), play a knockout-only version of the tournaments, or choose between 1 or 2 group stages in the UEFA Champions League. Plenty of choice for all. 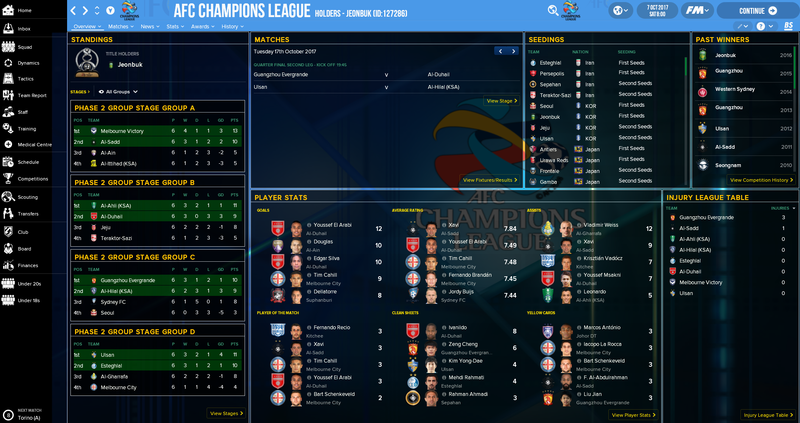 Additionally, the AFC Champions League has been added as a separate option, and uses the same 2 group stage format as the UEFA Champions League. 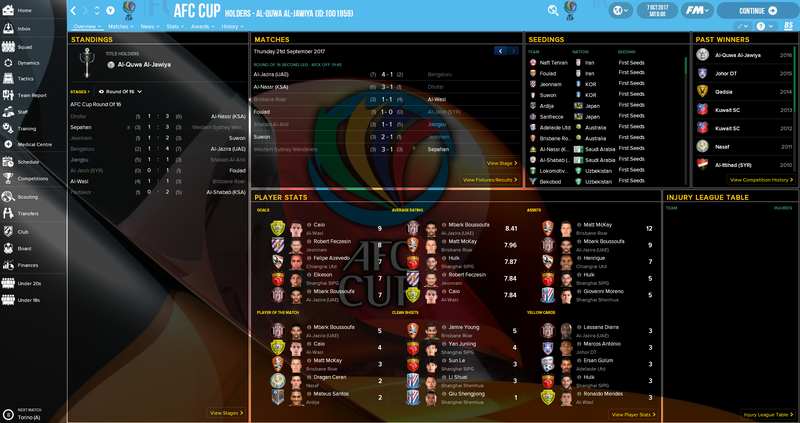 The AFC Cup also mirrors the UEFA Cup format of 5 teams playing 1 round of matches in the group stage. 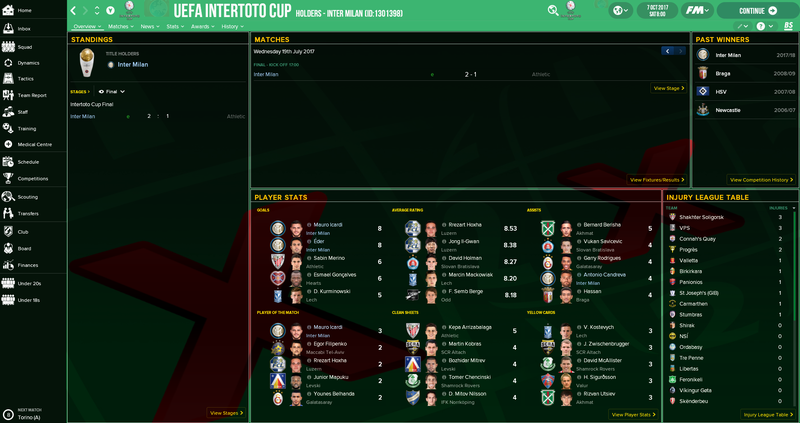 - If you are starting a new game and controlling a team that is competing in the UEFA Intertoto Cup, you will have to add France as a playable nation, as it allows you to start the game at June 12th. - The nation rankings are slightly customized to allocate qualification spots, so a couple of teams have been moved up/down in the rankings for personal preference. You can always change the order in your editor ahead of starting a new game if you wish. - *AVOID* activating Northern Ireland as a playable nation, unless you have a custom league structure for it. Their domestic playoffs have an issue when calling the correct teams and their season doesn't finish. 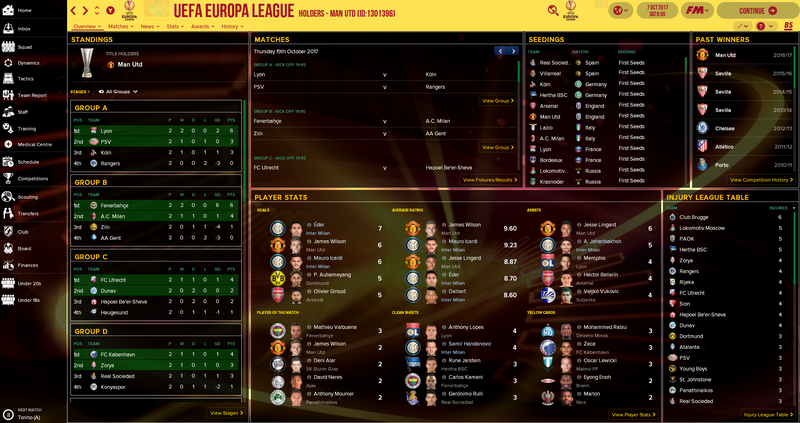 As a result, no teams qualify for the UEFA competitions when the nation is activated and playable. I'd like to give thanks to those who have helped me out when it came to getting this file off the ground, such as KingRobbo, Freddie Sands, krlenjushka and KUBI, as well as anyone else who was kind enough to chip in along the way. Your help is much appreciated, and I couldn't have gotten this project completed without all of you. Hope this will run without any major hiccups. Any feedback is appreciated. Coefficients still aren't functioning with the Edited Rules option unfortunately, though I wish they'd hurry up and fix it lol. If you want equal presence for every nation, you'd have to go into the Teams section under Europe and reconfigure the seeding from scratch, and make sure the total amount of teams called for each round matches what I've done. So for example the Champions League group stage calls 16 teams. Instead of calling 2 teams from nations 1-4, you'd have to call 1 team from nations 1-16, and so on for every other stage until you mathematically get it to 54. It'd be complicated but definitely possible. Thanks bud, much appreciated. 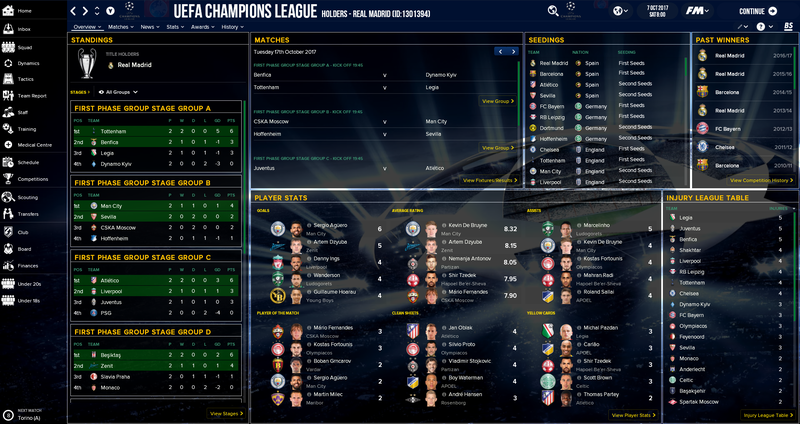 Yeah I managed to get teams dropping out of the Champions League group stage into the UEFA Cup/Europa League knockout stages. 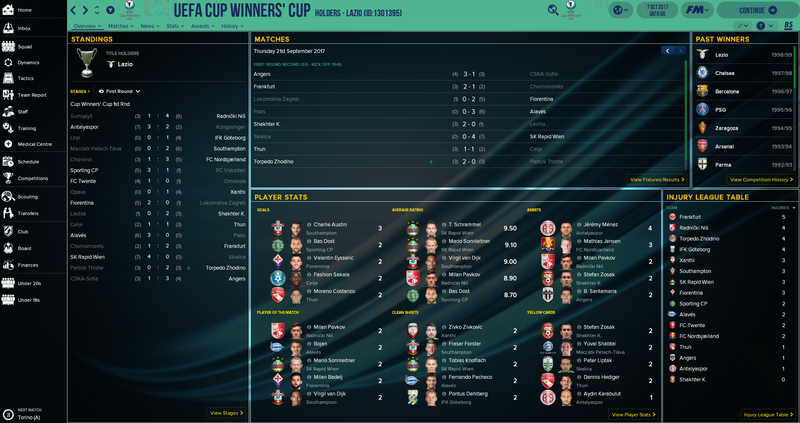 I also managed to get Champions League losers in 3rd qualifying round to drop into UEFA Cup/Europa League 3rd qualifying round as well so it's all running smoothly as far as I know. I hear that. It can be demoralizing to say the least when you put so much work into a project, only to hit a dead end with no way around it. Hey man good work. I want to ask you something because i will create my CL and EL with FM Editor. The Nations and teams get points from UEFA or not??? I ask you because we arent see the Coefficients of Nations and teams in game if we recreate the competitions. Coefficient points don't change unfortunately, as they aren't compatible with anything built under Edited Rules. Hopefully they'll address this going forward. Lovely work mate. It's a shame coefficients don't change, but something I'm wondering is if reputation and league ranking change? If you play in a small European league it's great when your price money increases when the league claims up the ranking. Thanks. Yeah I'm hoping SI can make coefficients and league ranking changes compatible with the Edited Rules option in the 2019 editor. I've already suggested it but whether or not they take it on board is another story. The only thing that will update as of now are nation rankings, but they don't add/remove qualification places (that's down to league rankings). I'll definitely be updating the project for FM19.